The four-masted barque Glenogil passes Liverpool pierhead as she is towed up the Mersey. 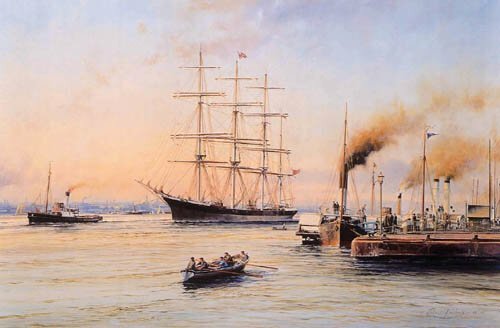 Paddle steamers in the foreground are seen embarking passengers for the river crossing in this busy harbour scene. Overall Prints Size: 16" x 23"